Welcome to The Sun Spa Tanning Salon! There’s no better place to get your perfect tan! Sun Spa Tanning Salon is dedicated to getting you vacation ready, any time of year. We’re your one-stop shop for all your tanning and vacation needs! At Sun Spa, we pride ourselves on superior customer service. We offer convenient hours, an experienced, knowledgeable staff, clean, well-maintained, state of the art equipment, top lotion brands, vacation wear, and customized packages. Our salon has 16 tanning beds, spray tanning and body wraps, and our sunless tanning technicians are fully certified. Our full-body wrap can help you maintain that beach body. Join our loyalty program for perks. But we’re more than a tanning salon. We have a wide selection of vacation wear – sunglasses, swimwear, sundresses and cover-ups - year round, so you’re always ready for vacation. Want to tan with a group? We’ll soon start throwing sunless tanning parties, with a free tan for the host. Serving men and women in Richland and surrounding counties. Come in for a tour and your first tan is free! Let us make you beach ready – all year round. 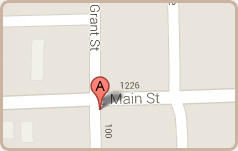 The Sun Spa Tanning Salon 1219 E. Main St.
© The Sun Spa Tanning Salon. All Rights Reserved.